Brian Andrews awoke on Nov. 8 to his panicked daughter at his bedside. 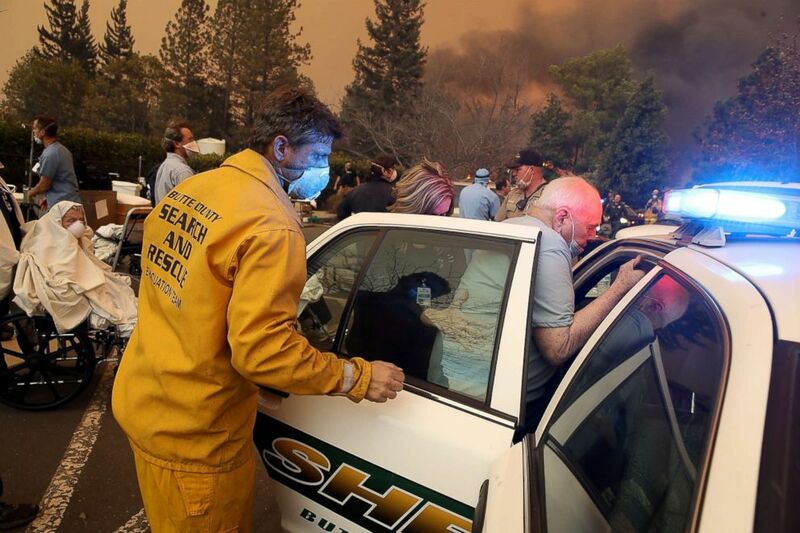 (Justin Sullivan/Getty Images) Hospital workers and first responders evacuate patients from the Feather River Hospital as the Camp Fire moves through the area on Nov. 8, 2018 in Paradise, Calif.
(Noah Berger/AP, FILE) The Camp Fire rages through Paradise, Calif., on Nov. 8, 2018. 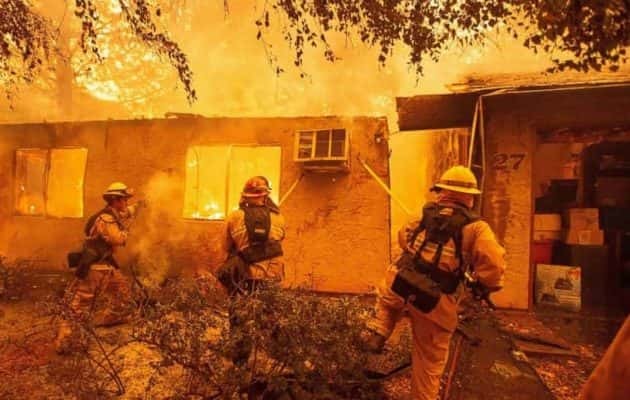 Driving slowly down Bille Road with his house in his rear-view mirror, Andrews saw bright orange flames and glowing embers on either side of him — cars, homes and trees were burning. He took out his cellphone and began filming as he carefully made his way out of Paradise. “Jesus Christ,” he muttered to himself in between heavy breaths. 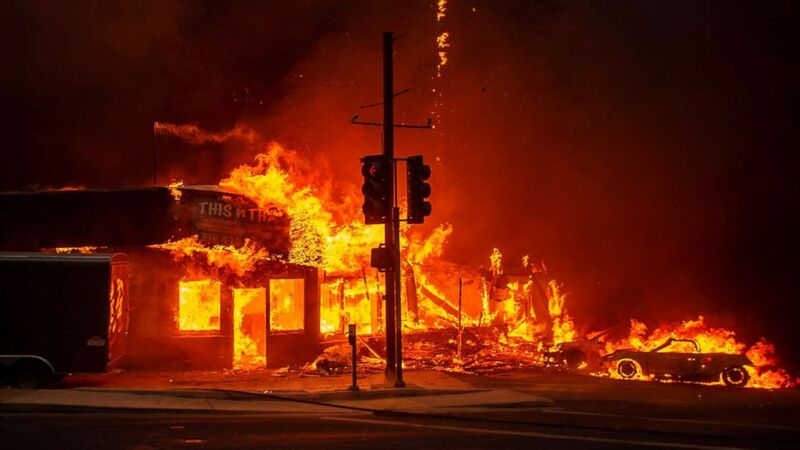 (Josh Edelson/AFP/Getty Images) A store burns as the Camp fire tears through Paradise, Calif., Nov. 8, 2018. Michelle used her cellphone to film just a few minutes of the horrifying ride out of her hometown as Daniel drove. “Oh my god,” she says repeatedly as her voice shakes with terror. “Take little breaths,” she tells their frightened children, ages 8, 7, 2 and 1. 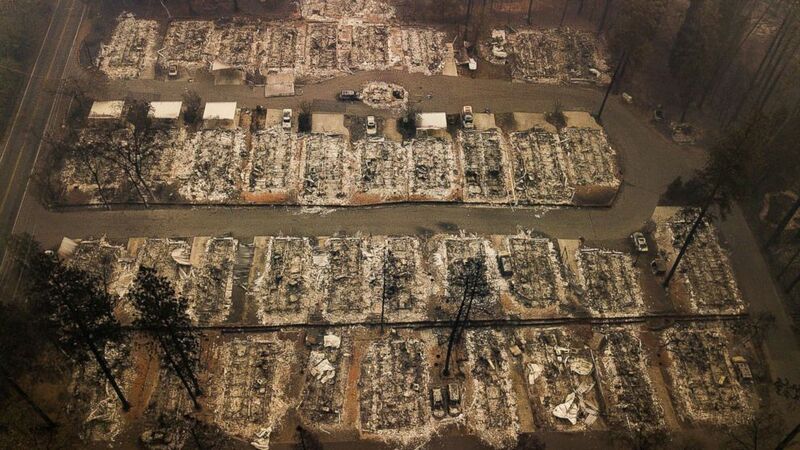 (Noah Berger/AP, FILE) Ashes and debris are all that remain where houses once stood in Paradise, Calif., on Nov. 15, 2018, after a wildfire destroyed the town. 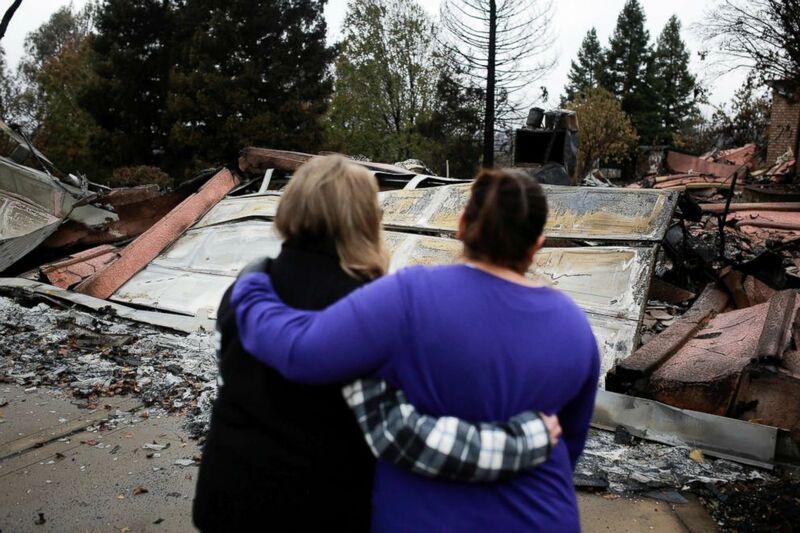 (Elijah Nouvelage/Reuters, FILE) Two neighbors comfort each other in front of the remains of a home after the two returned for the first time since the Camp Fire in Paradise, Calif., Nov. 22, 2018. 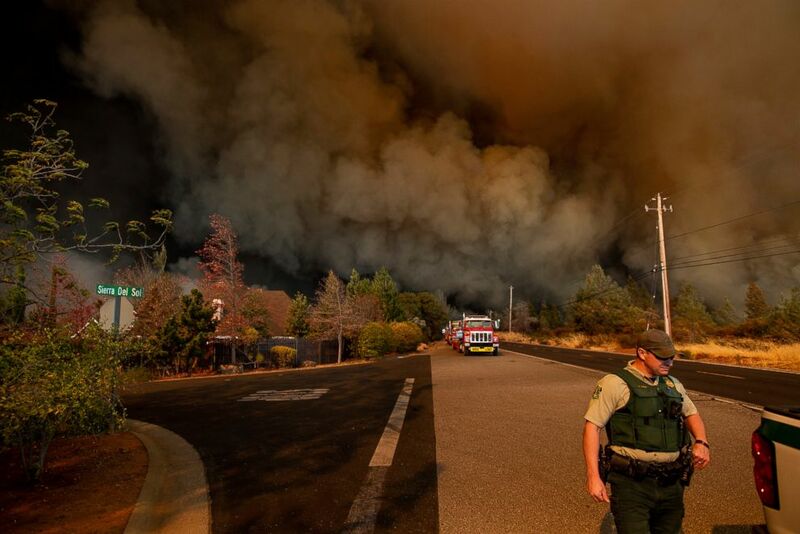 ABC News’ Will Carr, Fergal Gallagher and Adam Rivera contributed to this report.